Posted on September 11, 2014	by Derek "Gamer Crash"
Even though I wasn’t there to live through the heart of the Cold War between the United States and the (then) Soviet Union, we’ve all ready the history books and seen enough on it to know it was a intense and dangerous world. 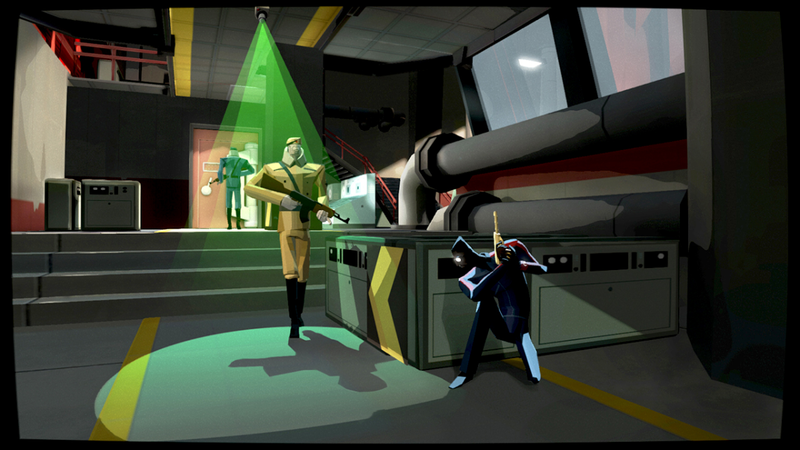 Developer, Dynamighty, taps into that uncertainty with their latest 2D stealth action title, CounterSpy. Instead of focusing on the more intense elements of this era, CounterSpy instead focuses on the more insane elements of the conflict (blowing up the moon?!?!) with a touch of humor to lighten the mood while you infiltrate enemy bases in an effort to steal launch plans and end the hostilities for good. Does this stealth action title make a clean kill or trip a silent alarm? Set in an alternative Cold War era from the 1970s, CounterSpy introduces three factions: The Imperialists (aka United States) vs the Socialists (aka Soviet Union) with the final faction being C.O.U.N.T.E.R. who acts as a secret agency working to undermine both sides. Naturally, the Imperialists and Socialists hate each other and have the brilliant idea to blow up the moon, which naturally threatens human life on the planet. Your character, the C.O.U.N.T.E.R. agent, is sent into undermine these plans and weaken both sides. Counterspy features a very high presentation level and it’s on display as soon as you boot the game up with the impressive opening sequence which feels ripped from the very best spy thriller movies. To that end, the game wears it’s inspirations on it’s sleeve with a mix of James Bond meets the 1960s in addition to the colorful and pleasant cel-shaded style. Each side that you’re attacking has a clear visual style and color scheme to it which helps sell the idea of where you are even though the game takes place completely in a bunker/weapons facility. The propaganda and signs that can be found hanging on the walls of each level are as humorous as they are impressive conveying messages to the player. 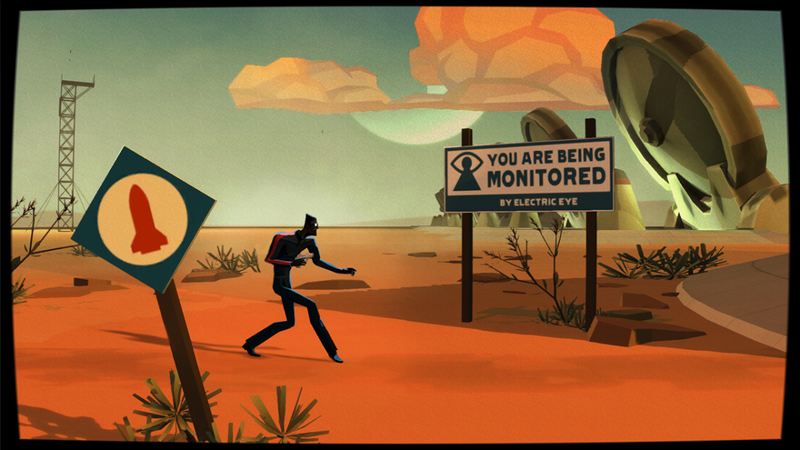 At it’s core, CounterSpy is a 2D side scrolling stealth action game. You control the character by moving from left to right in randomly generated levels that have hidden things to collect while trying to remain undetected. It may look like a Metroidvania style game but it doesn’t really fit that design as the levels are separate from one another and you cannot revisit them after the fact. If you miss something, it’s gone for good. The interesting twist to this side scrolling formula is that you have the ability to take cover behind things like walls or boxes which then moves the camera behind the spy giving you a different look at the room and the enemy movement patterns. I found aiming your gun in this mode to be a little finicky, no where near a deal breaker, but needing a bit more of finesse than you’d think. Upgrades and unlocks include new weapons (some more powerful and helpful than others) and formulas which act more like perks. Each need a certain number of blueprints to fully unlock which can be gathered by finding them in the levels. The thing that bugs me about formulas is that they’re not permanent. What I mean by that is, you need to purchase them before each mission, they don’t fully unlock for you once you initially buy them. Combine this with the need to purchase ammo before each mission as well and it typically results in you running out of money which you also need to unlock the new weapons you create. Thankfully, once you purchase a weapon, it stays unlocked for use. Granted, making the formulas free after initial purchase would lessen the impact of collecting money in the levels after a certain point, but I’m convinced there’s a better way to pacify both sides. Ultimately, the goal in CounterSpy is to steal launch plans to prevent both sides from firing their nuclear missiles. You start by selecting a side you want to attack with both options presenting different collectables for the player to find scattered in a level. Do you want to go for weapon blueprints, formula plans, or the level with more money in it? Each level is different and randomized and does a good job of making you think before rushing in. The DEFCON meter is another element which may sway user decision on which level to select. The indicator is basically a threat level governing how alerted that paricular nation is to your presence. Things like making yourself known in a level through force, dying, or tripping a security camera may trigger a guard to call in for help. When the final level of the meter is triggered, you have 1 minute to reach the end of the level and shut down the launch sequence. Fail to reach the end in time and it’s game over for you and the moon. The nice thing here is that the meter is separate per side so what you do against one side, doesn’t translate to the other. What I love about CounterSpy is that it doesn’t force you into a certain playstyle. If you’re detected, it’s not game over and you’re not punished for making a mistake. Granted, you’re character is pretty fragile and going full on assault isn’t recommended, at least you can still recover and work to get the situation back under control. Yes, the DEFCON meter may rise, but the game does give you ways to bring it back down through formulas or forcing officers to surrender. While we’re conditioned to view random generated maps as a good thing, CounterSpy pumps the breaks on that slightly. I found some of the rooms to be overly difficult especially when the majority of the enemies were found to be in the background area of the room. These rooms forced you to shoot at them to clear the room instead of giving you valid stealth/hand-to-hand options. Normally with these rooms, one small mistake alerts all the guards and more than likely resulted in a game over or the DEFCON meter to rise significantly when all was said and done. The other aspect that really stood out to me was the enemy AI and behavior. I found it to be a little on the inconsistent side where sometimes the guards were hyper aware and one tiny thing would set them off and other times I found them to be completely blind. A guard looking in my direction wouldn’t trigger or react while a guy in the background of the room spotted me instantly. Again, it’s not a deal breaker as it’s not a common occurrence, just a small disappointment. Even though CounterSpy doesn’t breathe new life into the stealth action genre in the way that Mark of the Ninja did, it’s still a very fun romp through a well realized and interesting world. With the scoring system, hidden loot, and leaderboards, I found myself wrapped up in a stealth arms race with my friends that more than once threatened to eat into my sleep. While CounterSpy may have a few flaws here and there, I really enjoyed my experience with the game overall. If you need a fun diversion from all of these AAA experiences, CounterSpy and it’s cross-buy compatibility (PS3, PS4, Vita) is a great option. This entry was posted in Opinion and tagged games, Opinion, PS3, PS4, Vita. Bookmark the permalink.